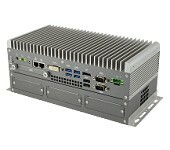 IBASE announces its brand new AMS300 series expandable modular box PC. 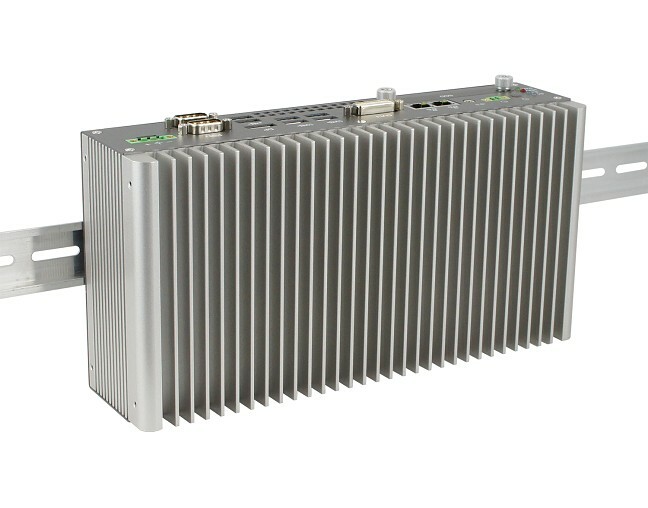 The AMS300 is a compact, yet expandable fanless system designed for industrial control and measurement processes in smart factory automation applications. It is powered by 7th/6th Gen Intel® Core™ i7/i5/i3 processors and comes integrated with 8GB memory as well as 64GB of industrial-grade SSD storage. 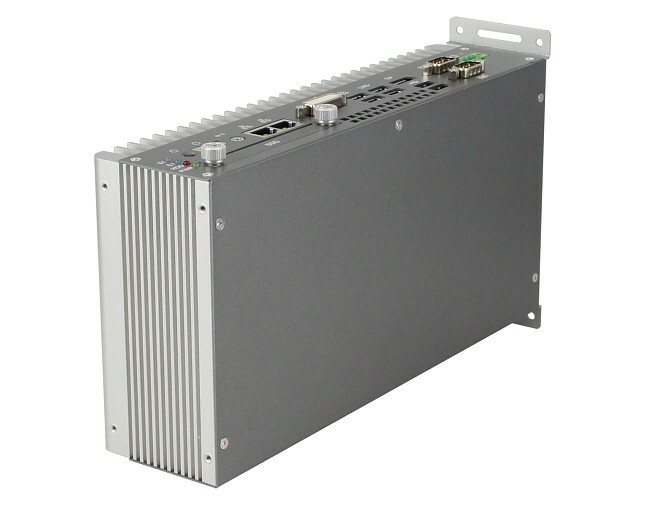 An optional 2MB MRAM expansion module is available to store data even without power. 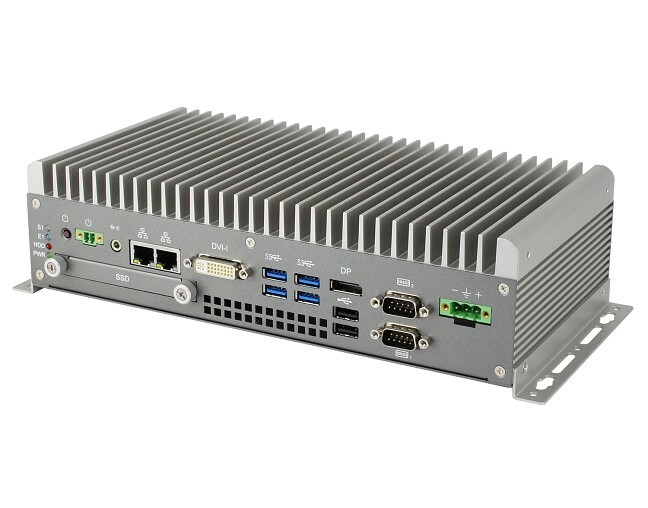 The AMS300 is built with two module compartments for PCI-E/PCI cards and Fieldbus modules, giving flexibility to customers to configure the various I/O required. 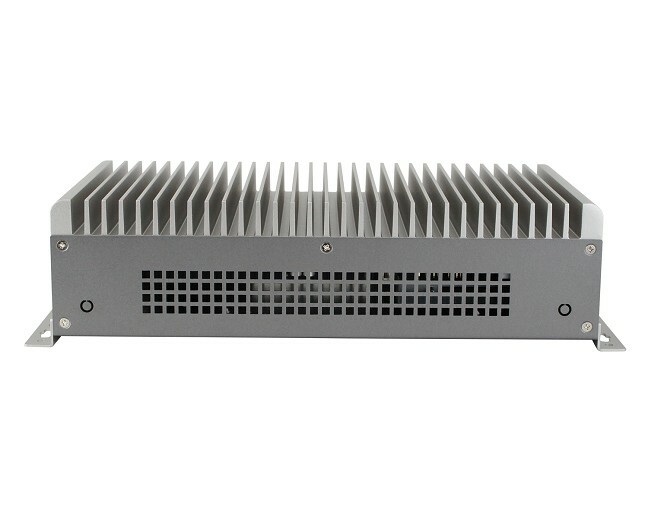 The unit also features high vibration and shock resistance, crucial for deployment in harsh conditions and all interfaces are situated to one side for easy assembly and expansion. 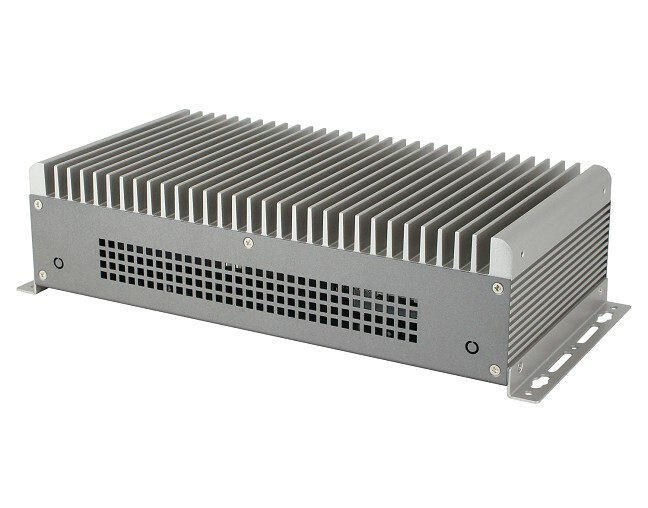 Built with a passive finned heat sink, the rugged AMS300 boasts superb thermal performance while reliably operating at a temperature range of -10°C to 60°C. The system is highly flexible with wall, side and DIN-rail mounting options to securely fit space-constrained and industrial environments. 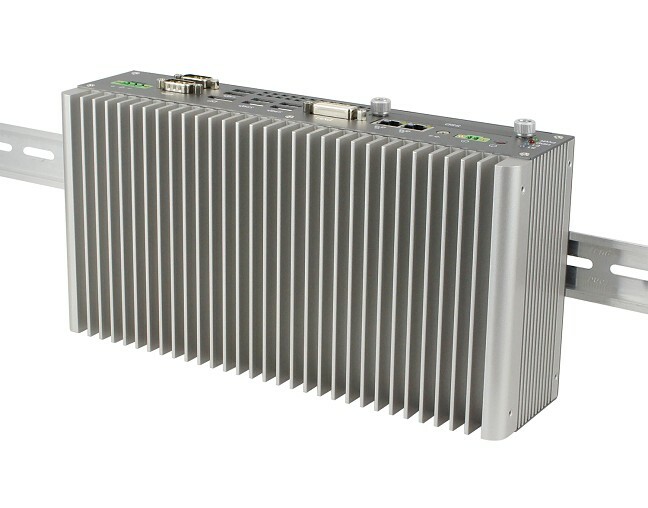 Advanced features include iAMT (11.6) for remote management and repair of systems and IBASE’s owned iSMART technology that enables energy-efficient systems with various power-saving functions. 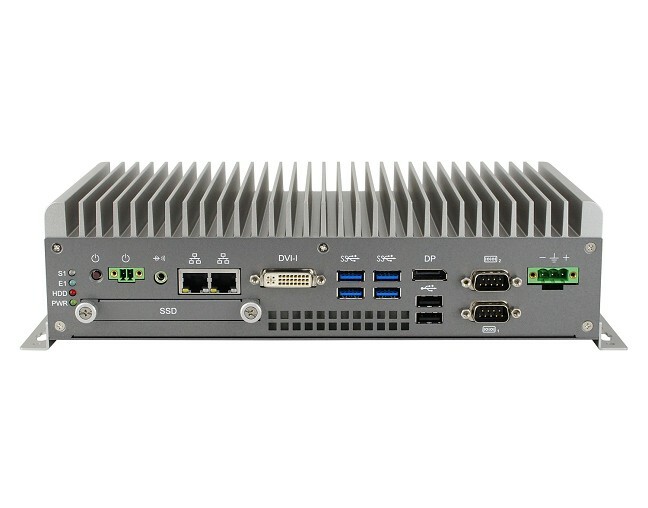 The AMS300 also offers extensive I/O connectivity including a drive bay with RAID 0/1 support, a 24V DC terminal block, 4x USB 3.0 which can be used as machine vision camera interface, 2x USB 2.0, 2x COM, 2x Gigabit Ethernet and video outputs for DVI-I and DisplayPort interface. 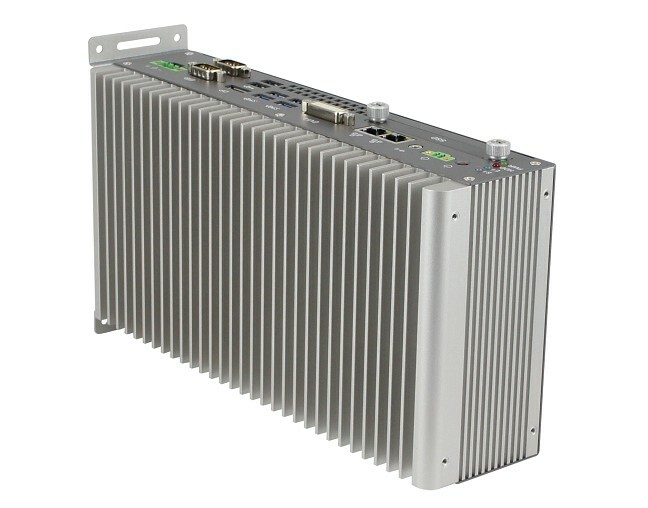 To meet customer specific requirements, the AMS301, an AMS300 variant model, houses an extension module with an IP301 card with 3x mPCIe slots that can be installed with optional PROFINET and PROFIBUS Fieldbus modules. 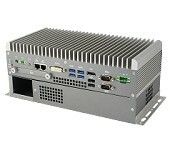 The AMS302 has an IP302 expansion card with interface for USB, COM, PCI-E(x8) and PCI-E(x4) devices.